Are you looking for something a little bit different to do for your mum this year for Mother's Day?? Have you thought about booking a weekend break away for her?? If so, why not book a stay with us here at Whitby Holiday Park. Ideally situated up on the cliff tops overlooking Saltwick Bay and Whitby Abbey, we are the perfect place to book your special weekend away. 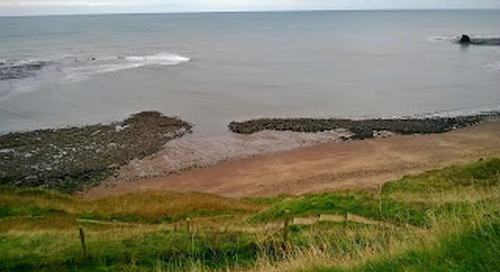 As well as having spectacular views out over the North Sea and the North Yorkshire Moors, we are just a short walk from the famous Whitby Abbey and its 199 steps down into the town. Whitby itself has many fascinating shops and cafes to keep you occupied all day long. You could even treat your mum to something a little special from one of the many jewellery shops located around the town. There are some fascinating Jet shops which have plenty of hand crafted pieces of jewellery from necklaces to bracelets, rings to earrings and various brooches. If jewellery is not to her liking, and you fancy something a little different to Whitby, there is also the picturesque village of Robin Hood's Bay which is only a few miles away. If you are feeling fit you could always walk the 5 miles along the Cleveland Way Coastal path (which actually runs through our site!). However, if you are not feeling fit, it is only a short 15 minute drive away from the park. This wonderful little fishing village draws you right down into the heart of the village by a long and winding road (unfortunately you cannot drive down here, you have to park at the top!) Once you reach the bottom you reach the heart of the village with its wonderful little harbour and narrow streets crammed full of quirky cottages and plenty of shops and cafes. There are plenty of pubs and restaurants around serving some fantastic food and award winning ales. 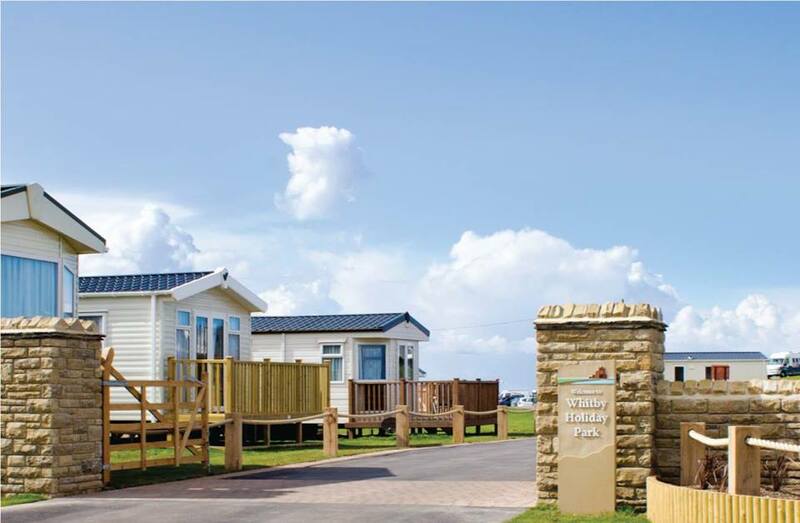 Once you've worn yourselves out either walking around Whitby or Robin Hood's Bay, then it is time to head back to Whitby Holiday Park. If you've booked one of our static caravans all you need to do is put the kettle on and put your feet up, whilst the other half or the children make the dinner (and yes, that is aimed at all you husbands and sons and daughters!) You could even put the tv on or watch a film, or sit in the window seat reading a nice book whilst looking out over Saltwick Bay. We have several different types of caravan that you can hire ranging from Platinum down to Pet Friendly (so yes, you can even bring along your furry little friend!). Our Platinum caravans our our top of the range that come with a walk way decking and guaranteed sea view. You also get an extra TV in the main bedroom, so whilst the kids are making you breakfast in bed you can have a nice relaxing morning watching tv without having to get up! 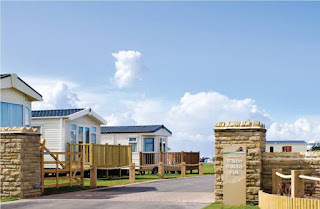 We also have Gold and Silver caravans available that are situated on both sides of the site with some overlooking Saltwick Bay and some overlooking the Abbey. We have an access plus caravan that has been adapted so it is suitable for people in wheelchairs. This has a ramped decking and slightly wider door frames. Some of the surfaces have been lowered too so that everyone can get involved. 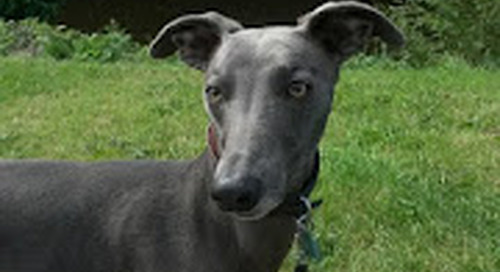 With the Pet Friendly caravans you can bring along your little furry friend to enjoy your break away. These caravans come with all the same comforts as our other caravans and are situated on both sides of the park. Once you have decided which caravan you want to book, don't forget to call as soon as possible before they all get booked!! After all, we do only every get one mum and it's nice to be able to treat her to something special! !